Ashland is out-vortexing Bishop. We don’t want to leave. Today’s excuse is that it looks like rain and, indeed, it does rain but honestly we just love this friendly town. Everyone else must feel similarly because there’s no room at the hostel and we’re not quite sure where we’re going to stay tonight. There is a possibility that a woman from a cafe will put us up and there is talk of stealth camping in the park. We run into Blox who tells us that as she and Pig Pen were crossing the street when a woman drove by, asked if they were PCT hikers, and offered them a bed at her home. Amazing! Blox gives her a call and she’s more than happy to host Cracker Jax, Stomper and me as well. We take a bus and meet Asha who invites us into her home and feeds us homemade chicken soup. We take showers, are serenaded by harp music played by her daughter, and then shown our beds. 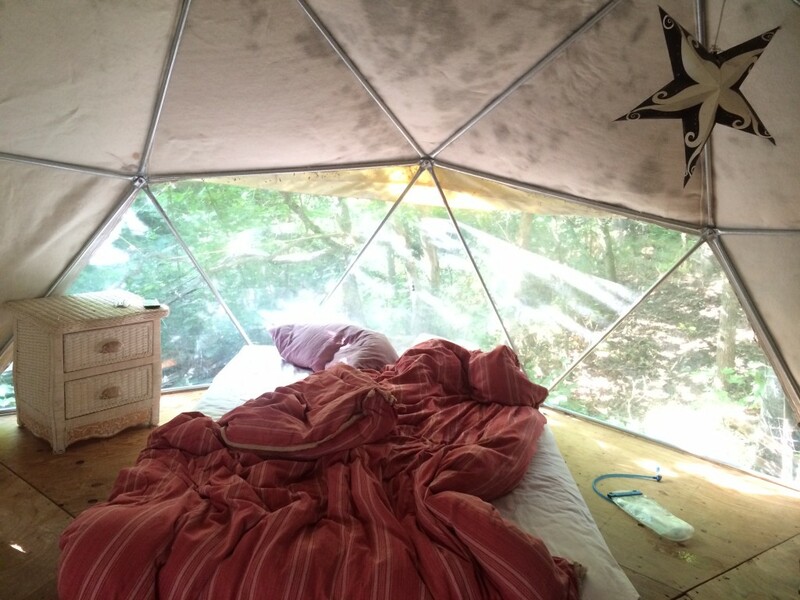 Cracker Jax and I sleep in a small geodesic dome made of steel and felted wool. Sections of the wool are cut away and have been replaced with clear plastic for stargazing. This is some crazy beautiful trail magic! The next morning, Asha makes us goat milk smoothies and feeds us a raw berry pie. She then treats us all to breakfast and drives us to Callahan’s Mountain Lodge, a mile from the trail. We are beside ourselves with Asha’s generosity and thank her immensely. We enter Callahan’s and find a gaggle of hikers having a beer in the bar. We join them for a bit and then I take a nap in a room the lodge has generously set aside for hikers. It’s almost 5pm and I know that if I don’t leave now, I’m just going to have to move here for good. We force ourselves back onto the trail and hike 6 miles – just to put some distance between us and the Ashland tractor beam. 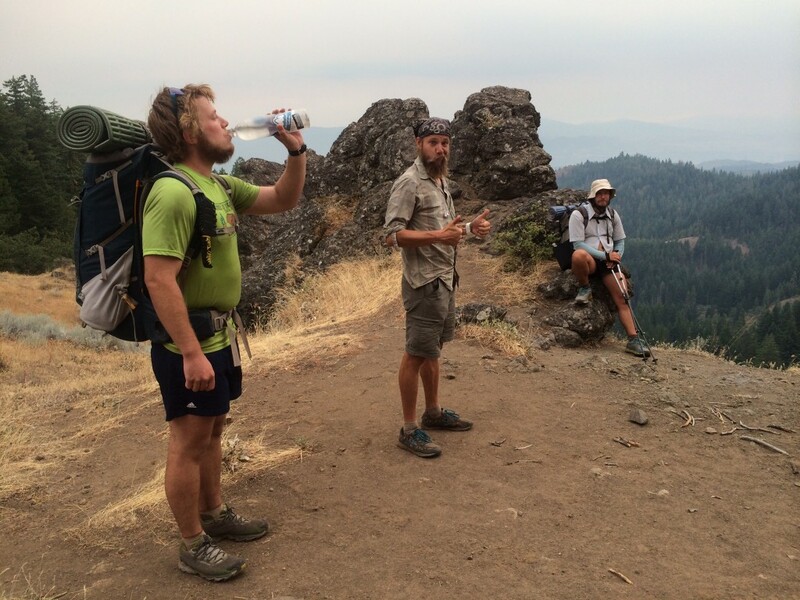 This entry was posted in Transmissions and tagged asha, ashland, blox, cracker jax, Hike, live music, Oregon, PCT, pig pen, rain, stomper, trail angel, trail journal, trail magic, vortex. Bookmark the permalink.